Some very sad news just a few weeks passed the events surrounding the killing of Osama Bin Laden. 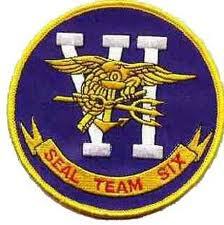 25 Seals (Team Six) parish when their helicopter was shot down. My prayers go out to them and their families.Thank you for your service and sacrifice. KABUL, Afghanistan (AP) -- A military helicopter was shot down in eastern Afghanistan, killing 31 U.S. special operation troops, most of them from the elite Navy SEALs unit that killed al-Qaida leader Osama bin Laden, along with seven Afghan commandos. It was the deadliest single incident for American forces in the decade-long war.